Lakes are one of the beautiful points to visit offered by nature. They are found in most of the countries and are used for various purposes including irrigation of agricultural fields. There are freshwater lakes as well as saltwater lakes – depending on the location and conditions. A lake is stored water on the surface of the earth whose boundaries are limited and are not connected to oceans. Lakes are also called close bodies of water, unlike oceans which are open bodies of water. 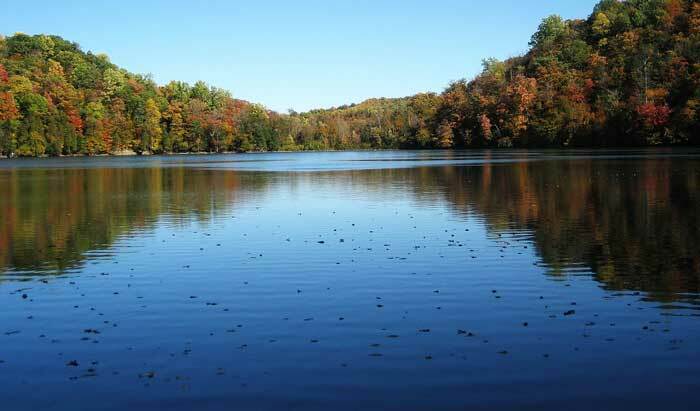 Lakes and ponds are sometimes considered as same things, but actually, they are different. Lakes are shallower and larger than ponds, but there is no scientific definition to make difference between them. Lakes are the still bodies of water on the land; they don’t flow like streams or rivers. But streams or rivers may meet the lakes for feeding or draining them. Lakes are still bodies of water that are formed in the basins of land. A basin is a dip in the surface of the earth that is formed due to various geological reasons. When rainwater is collected in a basin, or a river flows into a basin, it fills that basin with water and that basin is then called a lake. So how the basins are formed that are converted into the lakes. There are many reasons behind the formation of basins. Some of the reasons are earthquakes, movement of glaciers, and landslides. Lakes needs a regular flow of water either from rainwater or river to sustain their existence otherwise, they will be dried. Furthermore, the lakes also feed many rivers with water, but the amount of water taken from lakes should be balanced by the water that is filling lakes to avoid them from drying. Many lakes around the world are artificially made and are called reservoirs. These reservoirs are used to store the water from rivers and rainwater to balance the supply of water when water is scarce. Reservoirs are also installed with hydroelectric power generators for generating electricity when reservoirs are discharged. Here are some of the lakes of the world that are very famous. The Caspian Sea is largest of all the lakes existing on the planet Earth. Sometimes it is classified as Minor Ocean or a full-fledged sea that doesn’t connect to any ocean. The Caspian Sea has a surface area of 371,000 square kilometers and a depth of 211 meters (690 feet). The total stored volume in this lake is about 78,200 cubic kilometers. 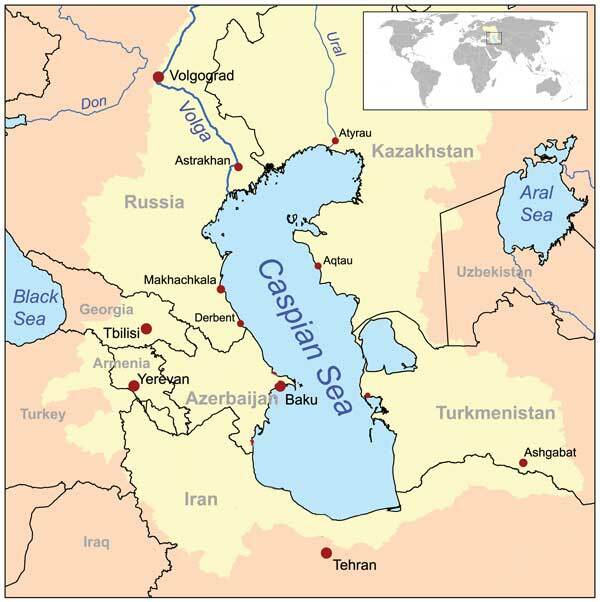 The Caspian Sea is located between Asia and Europe and meets with five nations which are Azerbaijan, Turkmenistan, Kazakhstan, Iran, and Russia. This lake has 130 rivers that flow into it and the largest river among them is the Volga River. Lake Baikal is a very amazing lake because it is the deepest lake along with being the largest lake of fresh water, and the 2nd longest lake in the world. This lake stores about 23% of liquid fresh water on the Earth’s surface. Lake Baikal is located in Russia having a surface area of 31,722 square kilometers and 23,615 cubic kilometers of fresh water. The Great Lakes are the five lakes connected together in series and are located in North America. 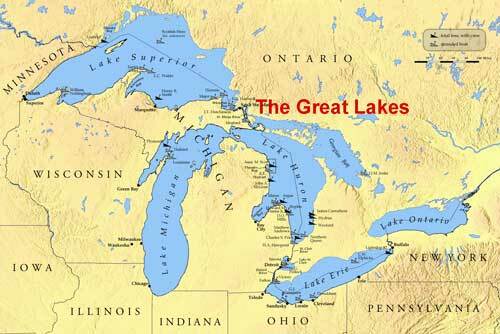 They are also called the Laurentian Great Lakes, and these lakes include Huron, Superior, Michigan, Ontario, and Erie. The most amazing thing about these interconnected lakes is that they hold about 22% of the fresh water in a liquid state on the Earth – slightly less than the Lake Baikal. The total surface area of these five lakes is around 244,106 Square Kilometers and the total amount of stored water in them is 22,671 cubic kilometer. 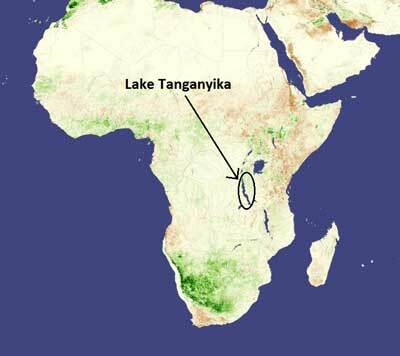 The title of being the longest lake of the Earth is held by Lake Tanganyika, which is about 660 kilometers (410 miles) long. 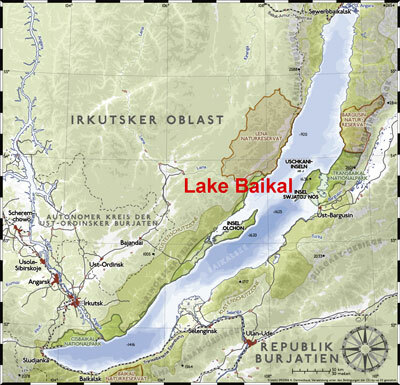 After the Lake Baikal, it is the 2nd deepest lake with a maximum depth of 1470 kilometers. This lake meets with four countries which are Zambia, Tanzania, Congo, and Burundi. Lake Victoria is an African great lake and has the largest surface area than any other lake in Africa. The estimated surface area of this lake is around 60,000 square kilometers. 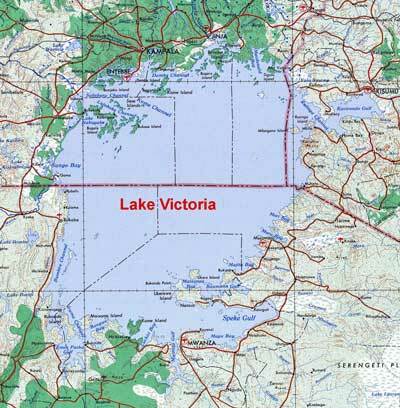 The reason for this African lake to be called as Victoria is that this lake was discovered by a British explorer, and he named it after his late Queen Victoria. It is estimated that lakes have 90% of all the surface water on our Earth – if oceans are not included. Finland has about 187,000 smaller and larger lakes. Due to this reason, it is nicknamed as ‘Land of Thousand Lakes’. Lake Assal is located in Antarctica is the world’s most saline lake having the salinity of 34.8% which is 10 times more than the ocean water. 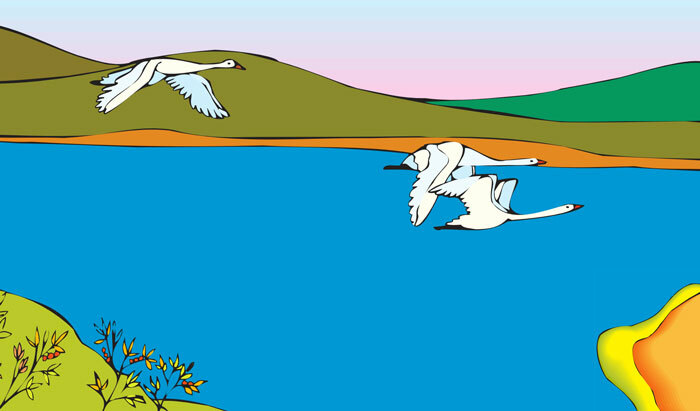 Abdul Wahab, "Lakes," in Science4Fun, April 12, 2019, http://science4fun.info/lakes/.